"Best Cosmetic & Plastic Surgeon in Delhi NCR." 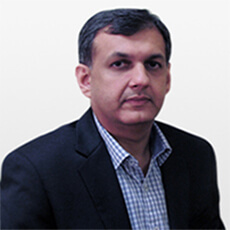 Dr. Vipul Nanda is a consultant Cosmetologist and Plastic Surgeon in Delhi at DermaClinix. With an experience of 17 years, he is recognized as one of the Delhi's safest plastic surgeons. He has done his MBBS & MS (General Surgery) from AIIMS (New Delhi) and MRCS from Royal College of Surgeons, Glasgow, UK. After doing his MCh (Plastic Surgery) from PGI (Chandigarh) in 1997, he had received advanced fellowships under world leaders in Cosmetic and Plastic surgery in Japan, Spain, UK, USA and Singapore. He has been a senior faculty at PGI (Chandigarh) and was even appointed as the head of a Plastic Surgery unit by the Ministry of Health, Oman in a referral hospital in Oman. He believes in giving a perfect shape to any disfigured body part. With the same intention, he put his best efforts in serving the patients with the best! He has served a number of patients with superb services till date, both in and outside India. He practices with the philosophy of delivering more than expected, speaking by his actions. His forte lies in rhinoplasty, facial rejuvenation and body contouring and he has been invited to conferences in India and Europe to present his work. He has innumerable satisfied patients, both domestic and international - and many of them have expressed their gratitude in written and video testimonials. He is considered as top searched cosmetic and plastic surgeon in delh ncr.